When you are investing in new road transport, there are only a few things that really matter. Will it be tough enough? How long will it last? And how heavy is the truck? At Custom Quip Engineering, we understand your priorities when selecting your next freight transport, but we aren’t just interested in meeting your expectations, we aim to beat them. 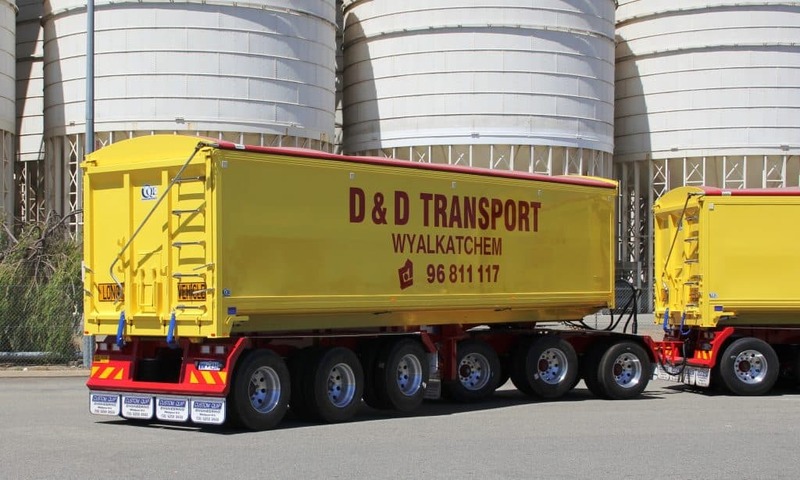 All our grain trailers for sale are manufactured right here in Western Australia, and we build them to last through the toughest conditions our State can provide. We only use the highest-grade materials and select only the best available components. If we wouldn’t use it, it doesn’t go into our trailers. When you buy a Custom Quip Engineering trailer, you are buying quality workmanship learnt from over twenty years of trailer building experience. 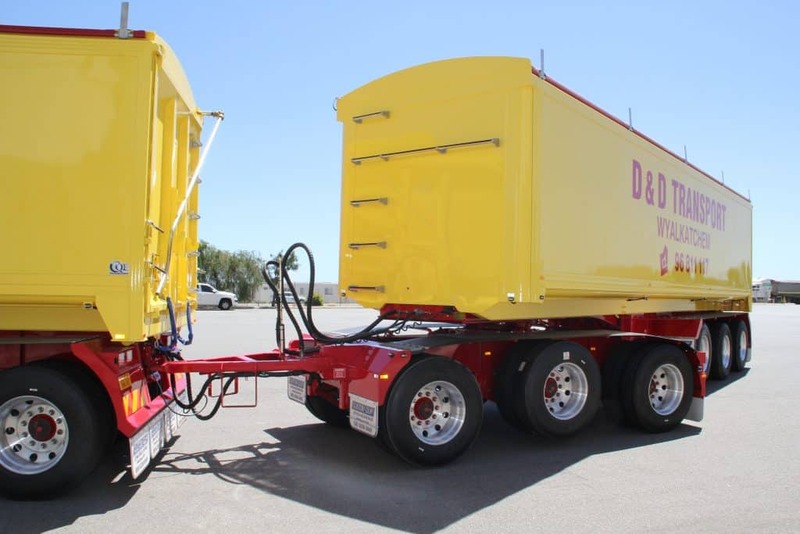 We guarantee that when you buy one of our trailers, you can be sure it will last the harsh punishment that comes with its lifetime of use. 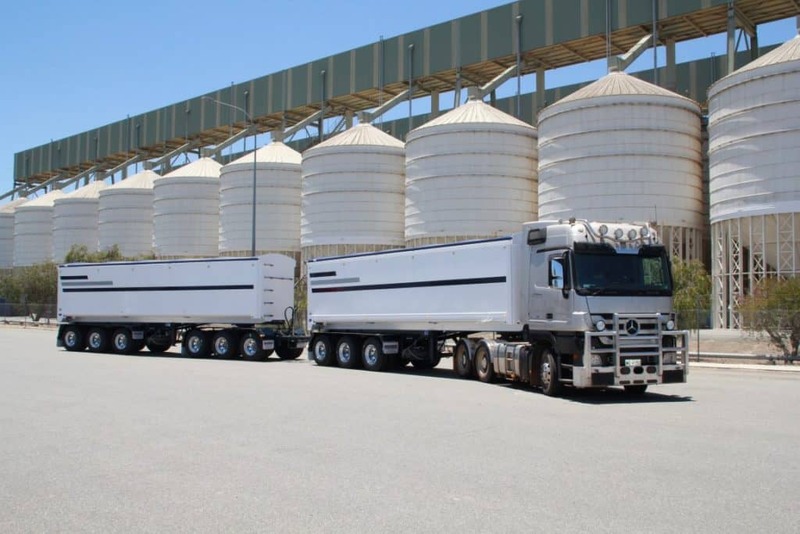 WHY CHOSE AN ALUMINIUM GRAIN TRAILER? 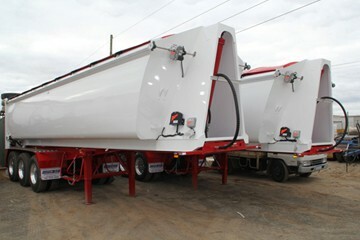 Our material of choice for side tipping grain trailers is aluminium. Aluminium doesn’t rust like steel or other metals, the aluminium oxide layer that forms on the surface protects your equipment from rust and corrosion. Even better, our aluminium trailers are as strong as steel, but provide a much lower tare weight to the rig. 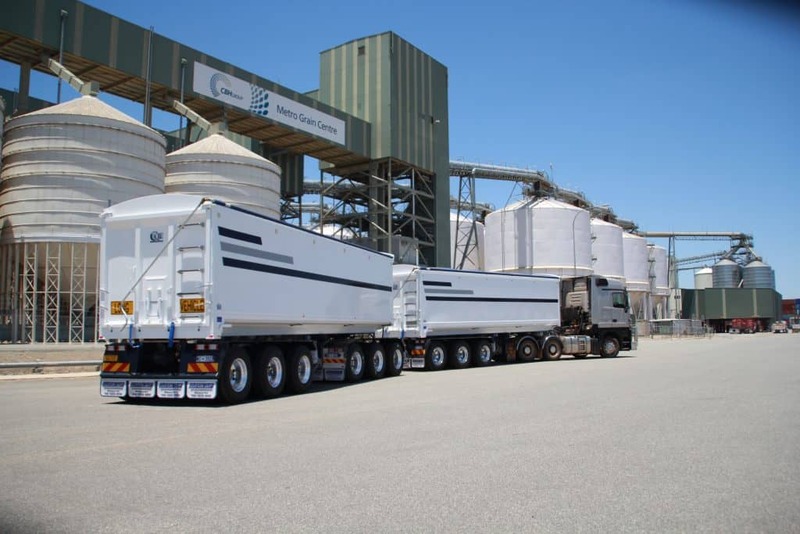 After twenty years, we have found time and time again that aluminium grain trailers outlast steel alternatives, and are the best investment for grain transport. While your main concern is if the trailer will do the job, we have thought of the extras that really make the difference when you are loading and unloading in the fields. 6mm 5083 aluminium plate floor and 5mm 5083 aluminium sides: Thick enough to last, but not adding unnecessary weight, aluminium floor and sides are the perfect solution for the trailer-load structure. 900-gram roll tarps with wear strips: To make life easier, our trailers include self-rolling tarps with wear markers so you can easily monitor the condition of your load protection. Steps and ladders: Comfortable, rugged and convenient ladders are provided to let you check the load with ease. 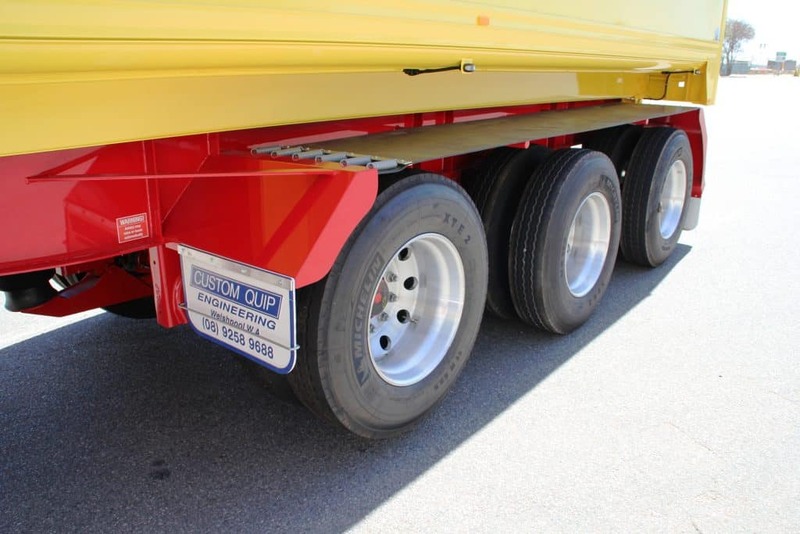 Aluminium Wheels: To save unsprung weight, we fit our trailers with high strength and low-weight aluminium wheels. Sandblast & painted in two pack paint: We paint all our trailers after sandblasting to give the toughest, paint job possible. 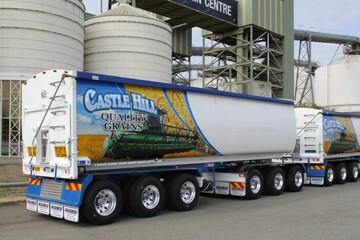 100% Australian made: All Custom Quip Engineering freight equipment is made in our warehouse in Welshpool, W.A. 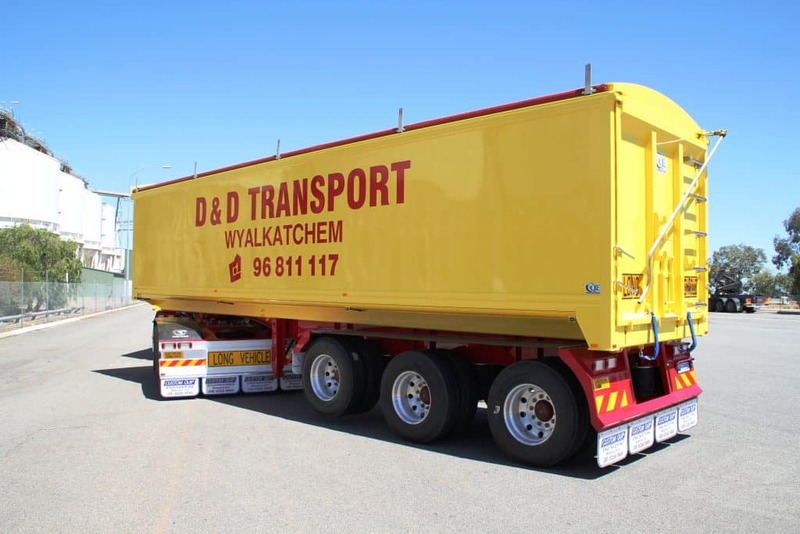 If you want a tough, reliable trailer and want to support local Western Australian business, call us today. 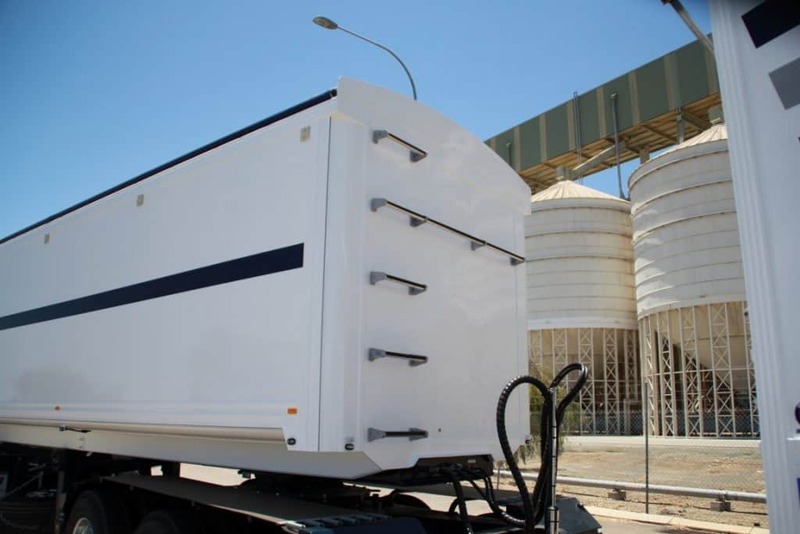 Custom Equip Engineering design and build our products for the Western Australian conditions and have the freight solution you are looking for.